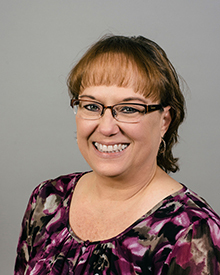 Citizens National Bank’s Cedar Park Branch Manager Donna Reynolds loves meeting, and working with, new customers. She highlights her enthusiasm for helping community members open checking accounts, savings accounts, and invest in certificates of deposit (CDs) and Individual Retirement Accounts (IRAs). She can also be found occasionally helping-out as a back-up teller. With a customer-focused background in retail, friends encouraged Reynolds to make the switch to banking where she began as a teller before working her way up to her current leadership position. Outside of providing stellar client care at CNB, she is passionate about supporting the non-profit Heroes Night Out. The resource center for military veterans founded by friends helps many local veterans in a variety of ways and is dear to her heart. Reynolds is a prior resident of Cedar Park, where her now-grown sons attended school. She has three granddaughters , a grandson and another grandson “on-the-way”. Now living in Bastrop with her husband, oldest son and grandson, she enjoys Nascar and cheering-on the Texas Longhorns and Dallas Cowboys.